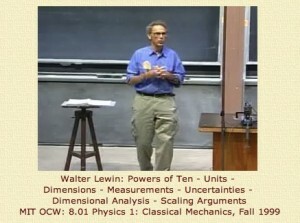 As part of Project Greenfield, we updated one of Walter Lewin’s 8.01 Physics lectures to examine how we might use the SpokenMedia technologies to improve the user experience. 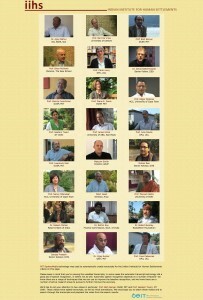 MIT SpokenMedia technology was used to automatically create transcripts for the Indian Institute for Human Settlements videos on this page. Please keep in mind that you’re viewing the unedited transcripts; in some cases the automatic transcript technology did a good job of speech recognition, in others not as well. Automatic speech recognition depends on a number of factors–we know there are a range of techniques that we can use to improve the baseline recognition, and we know there are a number of active research areas to pursue to further improve the accuracy. We’d like to call your attention to two videos in particular: Prof. Bish Sanyal, DUSP, MIT and Prof. Geetam Tiwari, IIT Delhi. These videos have edited transcripts, as well as Hindi translations. We encourage you to watch these videos and to search through the transcripts and playback the video from the search results.